Make Your Next Outdoor Party Hot! Outdoor fireplaces, or fire pits, have become a more popular addition to homes all throughout the country over recent years. They’re a great choice for entertaining friends and family, and making the most out of any backyard or other outdoor space regardless of the season. Before getting started though, make sure you know all about how to use firewood the right way for your next outdoor party. First, if the fire pit has not been built yet, it is important to pick the right location. DIYers love to build their own fire pits. It’s an easy enough project for you to manage. It is important that you plan carefully in terms of placement, and lay down all of the proper layers of brick and/or stone, gravel, etc., so that you and your home are always safe. You do not want to risk a fire spreading or getting out of control. Here are the steps for an easy and safe fire pit! Step 1: Pick a location that is a safe distance from structures or low hanging trees. Step 2: Determine the size and shape of firepit you would like. This will affect the selection of stones for your firepit. Step 3: Time to dig! You will want to use marking paint to establish the size and area you need to dig. You will need to dig about seven inches below grade. Pack the dirt solidly with a hand tamper after digging. This will make the space even for step 4. Step 4: Pour a generous amount of gravel into the dug out area, about 5 inches in height. Wet the gravel then use the hand tamper to pack it in evenly. Step 5: Time to lay! No, we don’t mean rest. It’s time to lay the first layer of blocks you have chosen. Use a level to make sure they are even. You can use levelling sand or tap down blocks to keep consistency. After you are finished with the first layer, use a level to check it in multiple places. Then begin your second layer. Step 6: Pit stop! 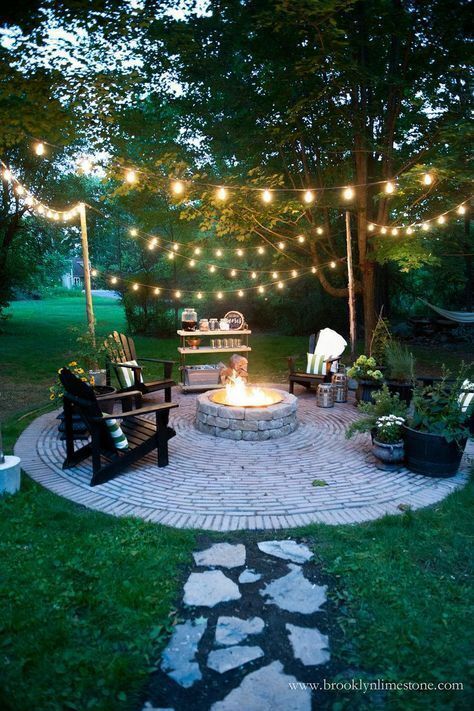 After your second layer of bricks are laid, make sure you have the perfect size fire bowl to place on top. The lip of the fire bowl should fit securely onto the blocks. This is a test fit. Once it is complete and you feel the bowl fits properly, you can use construction adhesive to secure the second layer of bricks to the first layer. Step 7: Add one to two more layers of blocks with the construction adhesive. Height preference is up to you but it should not exceed four rows. Step 8: Place the fire bowl on top. This way, it can be removed for easy cleaning. Step 9: Enjoy! You can now enjoy a lovely outdoor fire in your new firepit with your perfectly seasoned wood from Woodchuck Delivery! For more detailed instructions and visuals, watch this video! Now that your fire pit is in a perfect and prime location, you need to know how to store your firewood in the right way. Firewood should be stored outdoors, as opposed to indoors, and it should never be stacked directly on the ground, or touching the wall of your home. Instead, use a simple firewood rack to stack your wood, and use a cover over the entire rack to protect from the elements. Like the ones we have here. Your fire pit is built, and the wood is stored, but what kind of wood should you be using? The choice is clear — Woodchuck Delivery firewood. Our woods are a superior option for both indoor and outdoor fireplaces. Post Oak is our most popular. It burns for a long time and our customers love the smell! Our firewood and delivery service offers you great convenience and ease of use. It is fully seasoned which means low moisture content and is guaranteed to burn and light. Say goodbye to the embarrassment or frustration of not being able to get that fire going when you have guests over, or spending hours on the task without getting it completed. Our firewood is clean of bugs and mold, so when burned, it gives off much less creosote, also known as soot. That means when you’re all hanging out and making a round of s’mores, hot dogs cooked fresh over the flames or anything else, that you have less off the stuff you don’t want in your food. Plus, when the sun gets low and everyone typically wants to head in because it’s getting colder, you’ll all be able to actually stay outside and enjoy your backyard oasis longer. With our seasoned firewood, you’ll use less wood to receive a stronger, hotter fire, an energy-efficient solution that anybody can get behind. 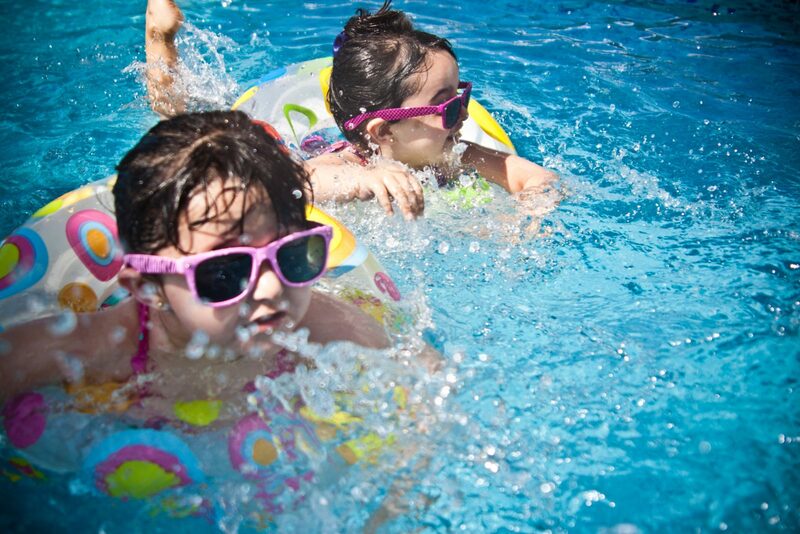 Perfect for warming up after a day in the pool! 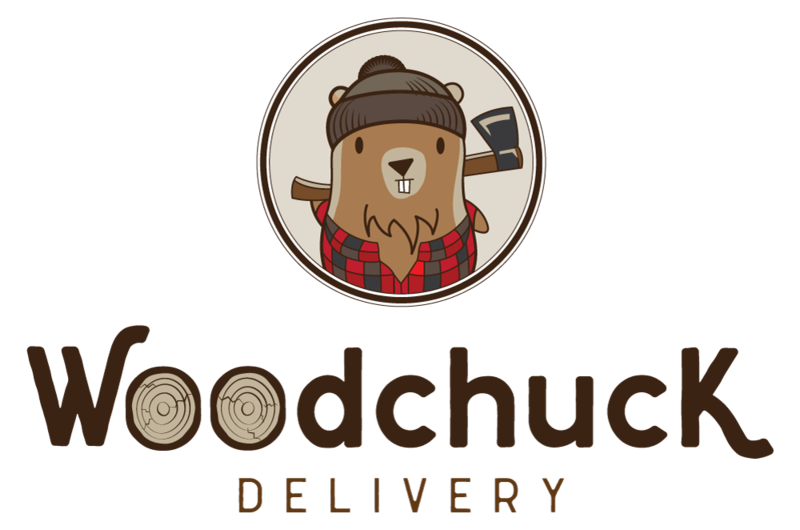 To get firewood for the outdoor fireplace or fire pit, give Woodchuck Delivery a call at 512.387.7270 today. 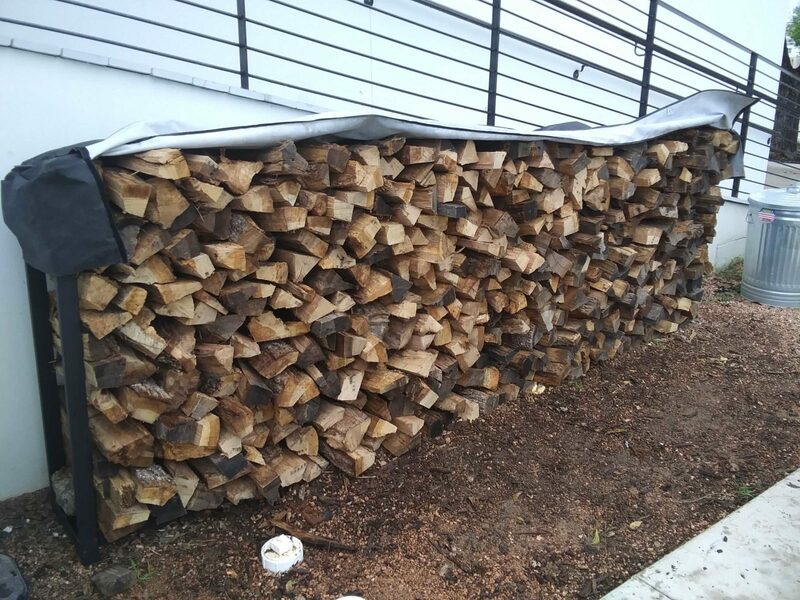 We offer firewood delivery in the Austin, Texas area, and offer a variety of options for purchasing firewood for the home.